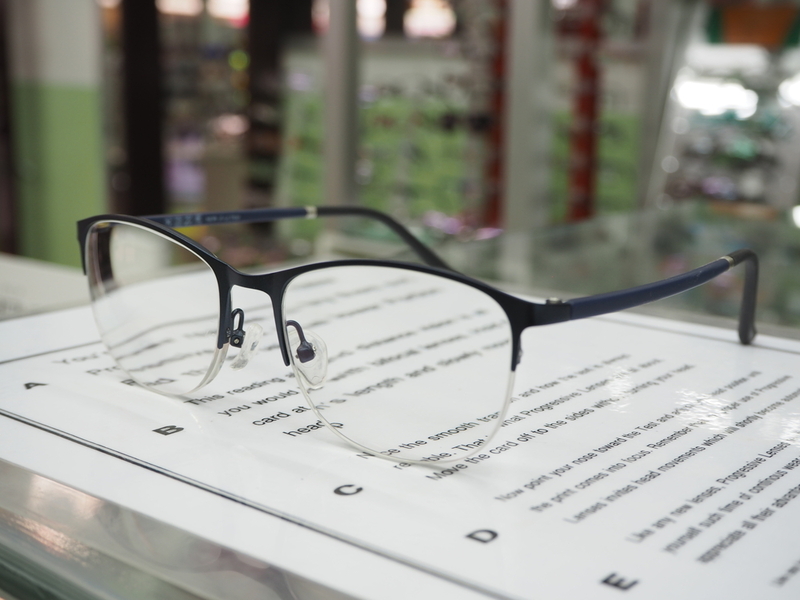 There are many different types of eyeglasses on the market today, allowing you to find the right fit for your needs. One of the most popular options are progressive lenses, which are basically multifocal lenses with no-line. If you can recall, some of the first iterations of bi or multifocal lenses had a visible line – which was aesthetically annoying, to say the least. Thankfully, there have been numerous advances in the world of optics, leaving us with progressive lenses that are both cosmetically appealing and beneficial to our eyesight. Today we are going to take a more in-depth look at what, exactly, progressive lenses are and what some of their top benefits are. If it’s been a while since you’ve been to the eye doctor, we encourage you to make an appointment for a comprehensive eye exam to check the health of your eyes and see if progressive lenses may be a good option. Progressive lenses are also known as “no-line bifocals” because they – you guessed it – don’t have a visible line down the center. But that is where the similarities with traditional bifocals and trifocals end, as progressive lenses are significantly more advanced. All progressive lenses have three different prescriptions combined into one – making them the mecca of eyeglasses. Progressive lenses are multi-functional, allowing you to read items up close as well as middle and long-distance. This means you won’t have to worry about carrying around two or three different types of glasses, as your progressive lenses will adjust to any situation. It may take a short amount of time for you to become accustomed to how progressive lenses work, especially if you have never had bifocals or trifocals before. All you have to do is adjust your head slightly to see the three different ranges of distance. For example, if you are trying to read a book or newspaper up close, simply lift your head. To see objects or signs in the distance when driving, point your nose down. When looking at a computer screen or something else in the middle range, look straight ahead. An all-in-one solution – Perhaps the number one benefit of a progressive lens is that it does the job of three different types of lenses all in one. If you need help seeing clearly at different distances, progressive lenses are a great choice. Bye bye, bifocal line – We’ve mentioned this one as well, but one of the main benefits of progressive lenses is the fact that you won’t have to deal with multifocal lines. Not only are these lines unsightly, but they can impact the clarity in which you see. Modern and trendy look – Just because you are getting older doesn’t mean you have to succumb to old age! Progressive lenses today are modern, trendy, and provide you with a youthful appearance. The bottom line? Progressive lenses are a great way to simplify your life, especially as you get older. They provide extremely clear vision, including a wider field, are more comfortable, and work well with a wide range of frames. To schedule a comprehensive eye exam with a First Eye Care DFW eye doctor, please do not hesitate to contact us today.